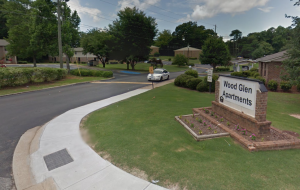 A LaGrange resident was reportedly airlifted to the hospital after suffering a gunshot wound outside the Wood Glen Apartments Saturday, June 13, 2015. According to LaGrange Daily News, a man was walking in front of the Wood Glen Apartments, on N. Cary Street, when he was struck in the thigh by a bullet. The victim did not see who shot him or where the bullet came from. A bystander found the victim and called police, around 11:00pm. The victim was later airlifted to the hospital with injuries. His current condition has not been released. Police are apparently still searching for a gunman. We are here to Help. Contact us for a Free Consultation. The Murray Law Firm has extensive and successful experience in representing victims of apartment violence and security negligence in Georgia and we offer our legal expertise in this potential claim, if desired. Anyone seeking further information or legal representation is encouraged to contact us at 404.842.1600. Consultations are free and confidential.